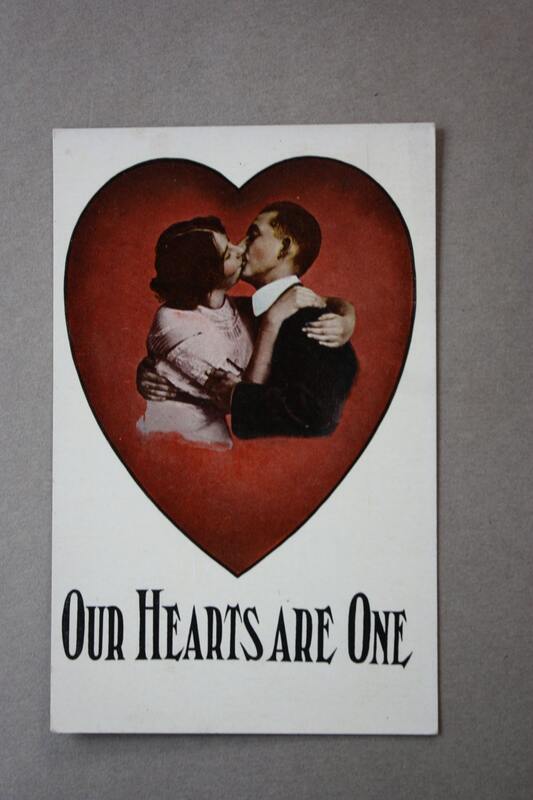 This antique Winsch Back postcard features a kissing couple on the front with "Our Hearts Are One." 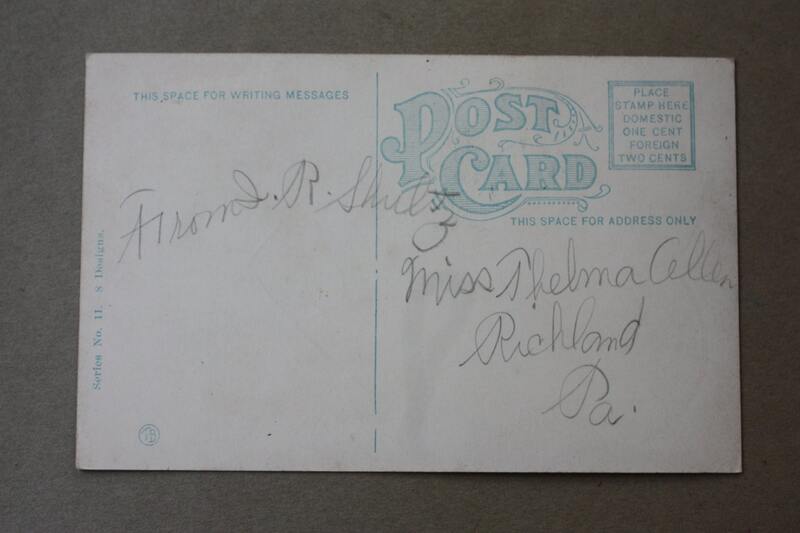 Card is from the early 1900s and has writing in pencil (address and sender's name) on back. There is a slight fold crease in lower left hand corner.